What is WordPress? Why is WordPress Free? Is there a Catch? Home » Blog » What is WordPress? Why is WordPress Free? Is there a Catch? One of the most frequent questions we hear from WordPress beginners is “Why is WordPress Free?” When something is offered up to us for free, we’re naturally suspicious. What’s the catch? Why is this free? There must be something wrong with it if they’re giving it away! So, if you’re asking yourself why is WordPress free, you’re not alone. But we’re here to tell you that, in fact, WordPress is a free and open source software. In this article, we’ll explain why WordPress is free, go over the costs of running a WordPress site, and uncover any hidden catches. So, yes, WordPress is free to download and use. It’s an open source software that’s licensed under the GNU General Public License agreement, anyone can use it, modify it, and share it because its design is publicly accessible. Since its design and source code are openly shared, WordPress users are encouraged to voluntarily improve the design of the software. Users can also report bugs, contribute patches, and suggest features for improvement. The main philosophy behind free and open source software is freedom. The creators believe that everyone deserves the freedom to control the program and what it does for them. When you use a paid software, the program controls the user and the developer controls the program. Many people also believe that software is not a tangible product. Once a software is created, it can be copied over and over again with very little cost involved. So, if there’s no actual cost to recreate the software, why should there be a cost to acquire and use it? Take Wikipedia for example, it’s a free online encyclopedia that’s created and edited by volunteers around the world, so there’s no cost to use it. So, why is WordPress free? Basically it all boils down to the fact that WordPress is not owned by any 1 person, rather it’s an open source community project where thousands of people contribute to it to make it what it is today. WordPress.org vs. WordPress.com: Are They Both Free? It’s important to note that there are 2 different types of WordPress: WordPress.org and WordPress.com. WordPress.org is an open source software that’s free to download and use any way you wish. It’s a self-hosted solution, which means you download the software and use it on your own domain. On the other hand, WordPress.com is a freemium website and blog hosting service. You can start a website for free with WordPress.com but it’s very limited. Unlike with WordPress.org, with a free WordPress.com website you don’t get your own custom domain name, your design customization abilities are limited, and you aren’t allowed to download any WordPress plugins. You’re also not allowed to monetize your free WordPress.com website; this means no direct ads or Adsense and no affiliate marketing. If you do want access to any of those features, it’s going to cost you quite a bit. Depending on your needs, you’ll have to pay anywhere from $36 – $300 per year and they also offer a VIP plan starting at an astounding $5000 per month. For a more detailed look at the differences between WordPress.org and WordPress.com, check out our post titled WordPress.com vs. WordPress.org – Is One Really Better Than the Other? Now you might be wondering how WordPress can keep running if it’s free. After all, the WordPress team still needs to cover the costs of some things like web hosting and hardware. So, if WordPress is free, how does it make money? Well, the co-founder of WordPress, Matt Mullenweg, owns a company called Automattic. Automattic offers a number of freemium blogging services, including WordPress.com, which we mentioned earlier. The company also owns popular freemium WordPress plugins like Jetpack and Akismet. As we stated before, WordPress.com is a freemium website hosting service. Users can start a blog or website for free but to unlock a number of powerful and useful features like plugins, users have to pay for it. This income allows WordPress.com to contribute to and support WordPress.org. With the profits the company Automattic earns, they can afford to keep WordPress.org running and free for everyone. Can You Make Money from WordPress? Another popular question from WordPress beginners is “Can I make money with WordPress?” Typically when you get something for free, you can’t make money off of it. But with WordPress, you actually can make money. 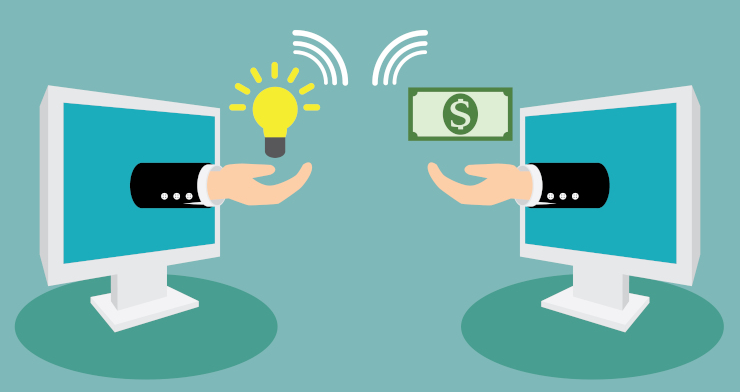 There are 2 main ways you can make money with WordPress or any other open source software which is by creating products or services based on that open source software. Elegant Themes – A premium themes and plugin company behind Divi, the most popular drag and drop page builder plugins. Awesome Motive – A multi-million dollar WordPress company led by Syed Balkhi. They’re behind companies such as WPBeginner, OptinMonster, WPForms, MonsterInsights, and more. 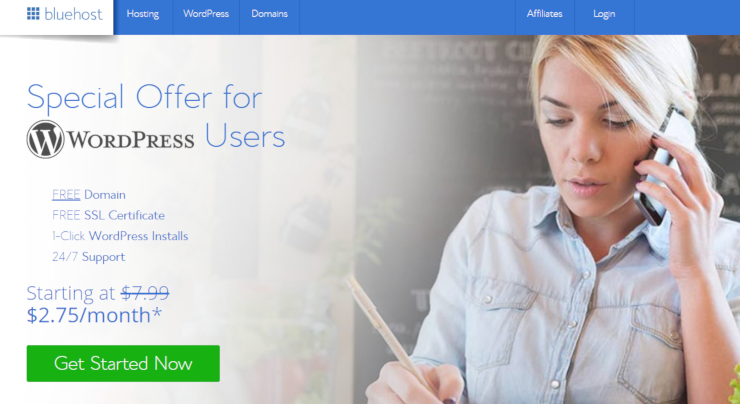 Sucuri – One of the most popular WordPress security solutions in the market. WPEngine – One of the most popular managed hosting solutions for WordPress. Yoast – Their plugin Yoast SEO is one of the most popular WordPress plugins of all time. You don’t have to create a product to make money from WordPress either. There are a number of other ways to make a living with WordPress including as a WordPress developer, building custom WordPress websites, managing enterprise-level WordPress sites, WordPress SEO specialist, and more. And of course, you can use your WordPress site to sell any type of product or service you want. Are There Hidden Legal Terms for WordPress? Now, we said that WordPress is free and you can do whatever you want with it, but are there any catches like hidden legal terms? While you are able to do just about anything with WordPress, there are a few things you need to keep in mind. First, the WordPress trademark. WordPress as a software is released under GPL but the words WordPress and WordCamp, as well as the WordPress logo, are all trademarks owned by the WordPress foundation. So, for instance, if you want to start a WordPress based company by selling products or services, you’re not allowed to use the word “WordPress” in your domain because it’s against their trademark policy. You can however, use “WP” in your domain, which is what many successful WordPress based companies do. If you want to use the WordPress logo on your website, make sure you use it in accordance with WordPress trademark policy. Secondly, we need to talk about copyright. Many users have wondered whether WordPress is copyright free. The simple answer to that is no. WordPress is licensed under the GPL, which means that you can use, modify, and redistribute the code as you like, but you don’t have the copyright to the entire code. You will only have the copyright to the modifications you make to the software. Can I Start a WordPress Website for Free? Now if you’re here, you’re probably wondering if you can start a WordPress site for free. While WordPress is free, there are some costs to starting a WordPress website. To use WordPress on the web, you need WordPress hosting and a domain. Hosting is where your website lives on the internet and what makes it possible for people to access your site via the web. Since all you need is a domain and hosting for your WordPress site, the cost is pretty minimal. But there are hosting solutions out there that are more expensive and you should avoid them especially if you’re just starting out. That’s why we recommend you choose Bluehost as your hosting solution. Bluehost is offering our readers an awesome deal. You can get a free domain name, free SSL, and over 60% off on WordPress hosting. No Restrictions – With WordPress.org you can build, customize, and grow your website any way you want to without restrictions. Easy Customization – WordPress gives you access to thousands of free WordPress themes to easily give your website the exact look you want. Added Power – WordPress allows you to download and install thousands of free plugins from the official WordPress Plugin Directory to enhance your website to the fullest. Monetization – You can make money from your blog or website because WordPress allows for monetization. You can run ads on your WordPress site without permission from your hosting platform or having to share the profits with them. Another benefit of creating a website with WordPress.org is that you own any of the content you upload to your site, whether it’s writing, images, products, and so on. On other free blogging sites like WordPress.com for instance, you don’t completely own your own content. WordPress.com has the right to delete, sell, or modify any of your content without having to provide any reason to you for it. When compared side by side, WordPress.org is far superior to WordPress.com or other hosting solutions. 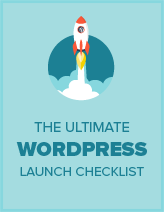 You have complete control to create the website of your dreams and it’s easy to do so with all of the extra features you get with WordPress.org. Now that you know all the details about why WordPress is free and all about any costs associated with it, we hope choosing the right platform for your website is an easy decision for you. If you enjoyed this article, consider checking out our other post 46 Biggest Brands in the World Using WordPress Actively.